Can Aggressive Tooth Brushing Damage the Teeth? Usually, the harder something is scrubbed, the better it's cleaned, but that's not the case for the teeth. Brushing hard, or aggressively, can wear away the enamel and cause serious dental damage. Although restorative dentistry treatments can repair damage caused by aggressive brushing, it's best to prevent damage to begin with. Let's explore how aggressive tooth brushing can cause dental damage. To learn more about dental damage and aggressive tooth brushing, schedule a consultation with Wilmington, DE dentists Jeffrey J. Emmi or Laura Dougherty. Using too much pressure, a hard-bristled toothbrush, brushing too frequently, or all three, can do more harm to the teeth than good. Such aggressive tooth brushing can wear away the enamel and cause gum recession, exposing the teeth to tooth decay and other damage. A clear sign of aggressive tooth brushing is the state of your toothbrush's bristles. Bristles that are pushed back are often an indication of aggressive tooth brushing and should not be ignored. Enamel wear: Aggressive tooth brushing can wear away the protective outer layer of the teeth, called the enamel. As the enamel is worn away, the inner structures of the teeth are left vulnerable to plaque, bacteria, and acid. Receding gums: Aggressive tooth brushing can push the gums away from the teeth, leading to gum recession. Gum recession can affect dental health by leaving areas of the teeth that are usually protected by the gums exposed to bacteria, increasing the risk of tooth decay. Tooth decay: Brushing the teeth aggressively increases the risk of tooth decay due enamel wear and gum recession. Both gum recession and enamel wear expose delicate areas of the teeth to plaque, bacteria, and acid, all of which can cause tooth decay. Increased tooth sensitivity: Both enamel wear and gum recession caused by aggressive brushing can increase the risk of tooth sensitivity. Use a soft-bristled toothbrush: Using a soft-bristled toothbrush instead of a medium- or hard-bristled brush can help reduce the damage caused by aggressive tooth brushing. Use light pressure: If your hand hurts when you brush your teeth, you may be using too much pressure. Instead, relax your grip and lighten your pressure when brushing the teeth. Brush with small, short strokes: Use small, short strokes to brush the teeth while holding the toothbrush at a 45-degree angle to thoroughly clean the teeth without being too aggressive. 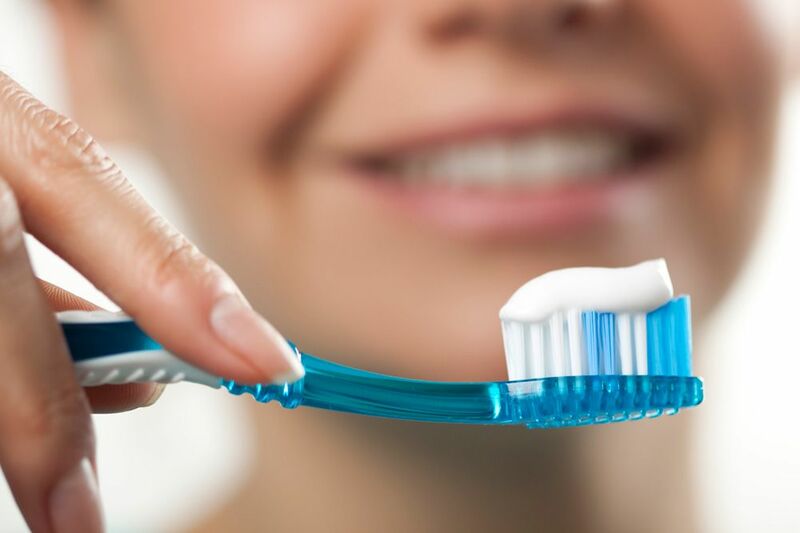 Don't over brush the teeth: Although brushing the teeth more than twice a day can be beneficial, brushing obsessively, for instance more than ten times a day, can wear away the enamel and cause dental damage. For more tips on how to protect your smile from aggressive brushing, or to learn more about your treatment options, please schedule a consultation with our team today.